Do you want to know how to get new and keep new customers? If you need to know how to market to your clients successfully, then you need to come along on this workshop. 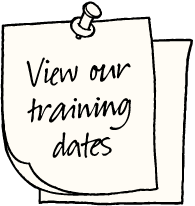 This training session is £75, but is deducted from any training course that you book with us. Spaces are limited so call Richard and book right away. “This course was invaluable in giving structure to organise a successful marketing campaign. Using clear insights into the client’s buying process. I feel I can now organise a cost effective and targeted marketing approach which will produce both better results and better profits. If this sounds like something you need to kick start and reboost your business, then this is the place for you to be on August 21th. Book now places are limited!